In 1941, missionary Leonard Coote gathered a small group of believers together in the east wing of the Municipal Auditorium, and began a local church, called Emmanuel Church. From that humble beginning, the church has grown into a large congregation now known as Destiny Church. Leonard Coote was a missionary in Japan for 50+ years. It was during the 2nd World War that he came to America with his family and established the church in San Antonio. In 1943 Leonard Coote's daughter, Ruth, and John Bell met at bible college and were married in San Antonio in 1944. John Bell served as Assistant Pastor to Leonard Coote; when Leonard Coote returned to Japan in 1948, John Bell began serving the church as pastor. 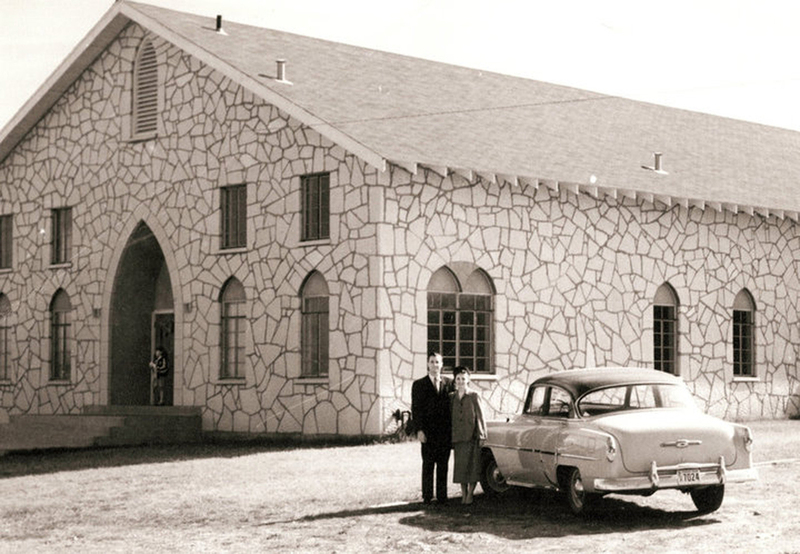 The church built its first building in 1952, located on Texas Avenue, overlooking Woodlawn Lake. It was during this time that the church took the public name Revival Temple. In 1978 the congregation moved to its current church location at 8635 Callaghan Road. The initial construction at this site included an auditorium seating 450, a fellowship hall, and educational facilities. Having outgrown the auditorium, and after holding two Sunday morning services for several years, a large, multi-purpose facility was constructed, called the Family Life Center. Finished in 1993, this building features an auditorium with seating for 1000+ worshipers. In the fall of 1996, John Bell's son, Dave, began serving the church as lead pastor. John Bell went home to be with Jesus in June of 1999. At the beginning of the year 2000, God gave the church a new name. Now called Destiny Church, the congregation continues to grow sharing the simple message of the good news of Jesus Christ. After serving faithfully as pastor for 16 years, Dave Bell passed away unexpectedly from heart complications in May of 2012. Pastor Doug Pitman and the elders of Destiny oversaw a two year grooming process to prepare Matt Bell to pastor the church. In May of 2014, Pastor Matt Bell was installed as the pastor of Destiny. Today, Destiny Church moves forward with a renewed vision and passion to do the Great Commission. Jesus has called us to Preach The Gospel & Make Disciples.